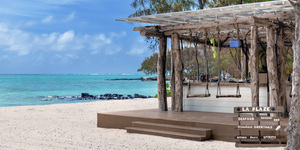 Four Seasons Resort Mauritius at Anahita has revealed a new beach experience on the island’s east coast, by offering exclusive access for Resort guests to a picturesque cove on Ile aux Cerfs. 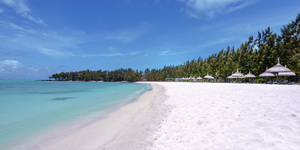 In addition to the Resort’s two secluded beaches within its 64 acre (26 hectare) grounds, access to the new beach on Ile aux Cerfs will provide a complementary experience to guests seeking days of castaway relaxation. 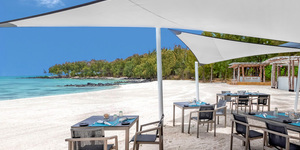 Home to 40 sun loungers, a new Beach Grill restaurant and assistance from a dedicated team of waiters, the beach is located on the undisturbed eastern coast of Ile aux Cerfs – an island famous for its stretches of white sandy shorelines and turquoise lagoon waters that are ideal for swimming. 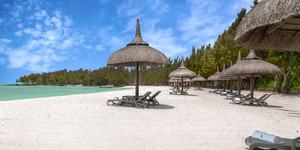 Our Exclusive Beach on Ile aux Cerfs is accessible to guests from the Resort by speed boat transfer. Departing from the Resort’s jetty on Bambou Beach, the short transfer will offer views across the east coast lagoon, and upon arrival, guests will descend from the boat directly into the warm Indian Ocean waters. Adding flavourful sustenance to relaxed beach days, the new Beach Grill will serve up a menu of fresh seafood – brought daily to the Grill by local fisherman - with meaty favourites, refreshing salads and appetising sharing platters and snacks. All dishes can be accompanied by local beers, fresh juices and cocktails, which can be enjoyed as part of a meal or sipped leisurely from one of the Beach Grill’s swinging bar stools.